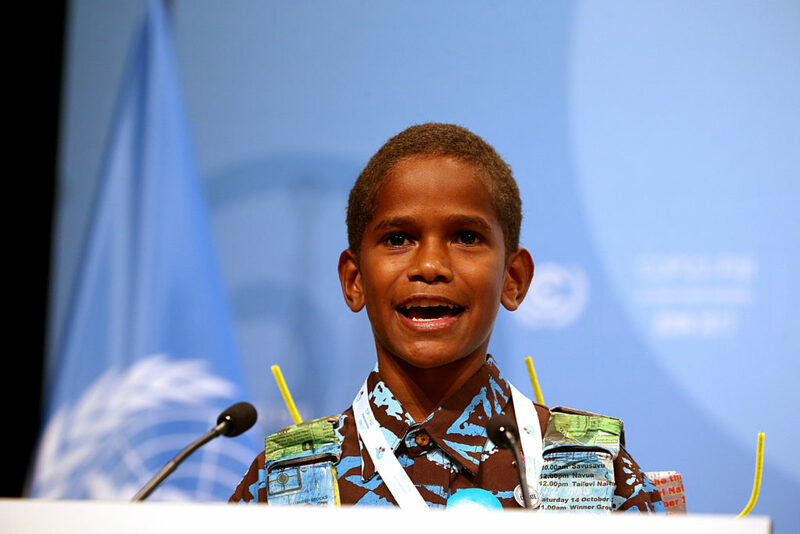 Image: Twelve-year old Timoci Naulusala from Fiji speaks during the World Climate Conference in Bonn, Germany, 15 November 2017. Photo: Oliver Berg/dpa via Getty Images. Pacific Island countries are uniquely affected by climate change. This high-level dialogue placed an international spotlight on Pacific priorities and concerns, and on the Pacific’s leadership and innovation on this challenge. The event brought Pacific leaders together with development partners, civil society and academics to exchange perspectives, learn from experience, and promote new partnerships. The dialogue also drew lessons from the Pacific as the world begins to adapt to the upheaval of a changing climate and changing ocean.